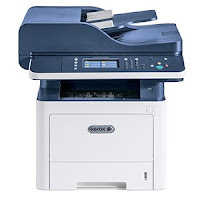 Xerox WorkCentre 3335 offers Wi-Fi connectivity for untethered mobility and the freedom to put the printer or multifunction device right where users need it. The WorkCentre 3335 Wi-Fi installation wizard and Wi-Fi Print Setup (WPS) make secure and Wi-Fi Direct, mobile devices can connect directly. In addition, optional USB card readers, you can enhance your office security and control costs by integrating with many popular pull print and authentication solutions. You can easily print from Android-based mobile phones and tablets with Near Field Communication (NFC) tap-to-pair.